Fresh from their turn at Electric Picnic over the weekend, Dublin rockers The Riptide Movement have announced a December date at Whelan's. The four-piece will play the Wexford St venue on Friday December 11th. It's been an exciting few months for the band, following the release of their celebrated album Getting Through in the UK and across Europe. The album topped the Irish charts and achieved Gold status for the band while the lead single All Works Out was a Top 10 hit. Both album and single were nominated for Choice Music Prize Album Of The Year and Single Of The Year respectively. 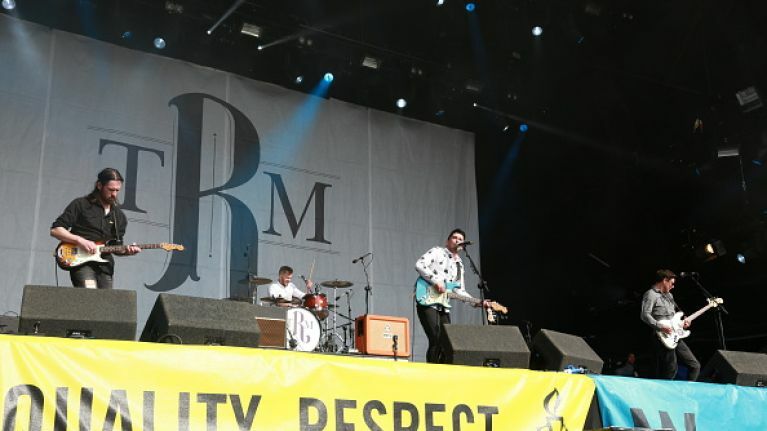 As well as EP, this summer has seen the band play Reading & Leeds, The Great Escape, Benicassim and T in the Park. The current single Monster is out now. Tickets €22.90 incl. booking fee are on sale tomorrow, Wednesday 9th September from 9am.